Wisenet has re-connected You to the new integration and is re-syncing Invoices. Due to Xero strict integration limits this could take up to 24-48hrs for all of your invoices to appear. Thank you for your patience. What does this Xero change mean for you? 1. You do not need to re-connect. Wisenet has done this for you. 2. When will you need to resync in the future? If something isn’t quite right or you have questions please log a support and we are happy to help. If you have a different finance system such as MYOB we are hoping to integrate at some point in the future- stay tuned. If you have Xero but are not currently integrating with Wisenet you may be missing out. What’s so good about Xero Integration? No double entry of Learner details. 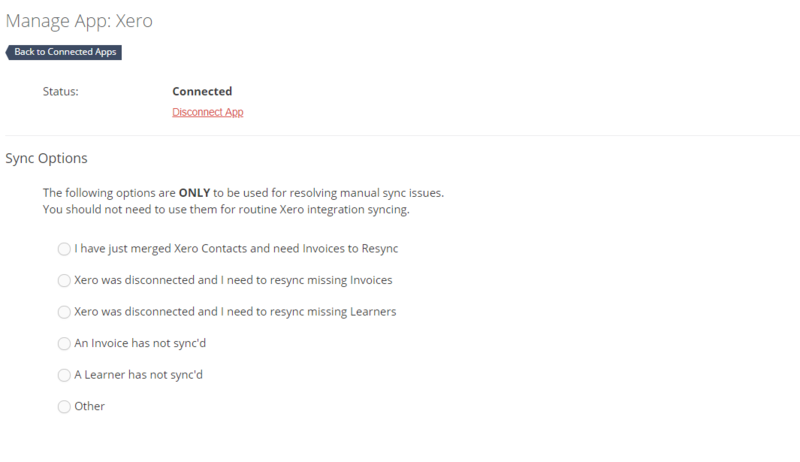 You can set up an automation to sync learners to Xero on enrolment. 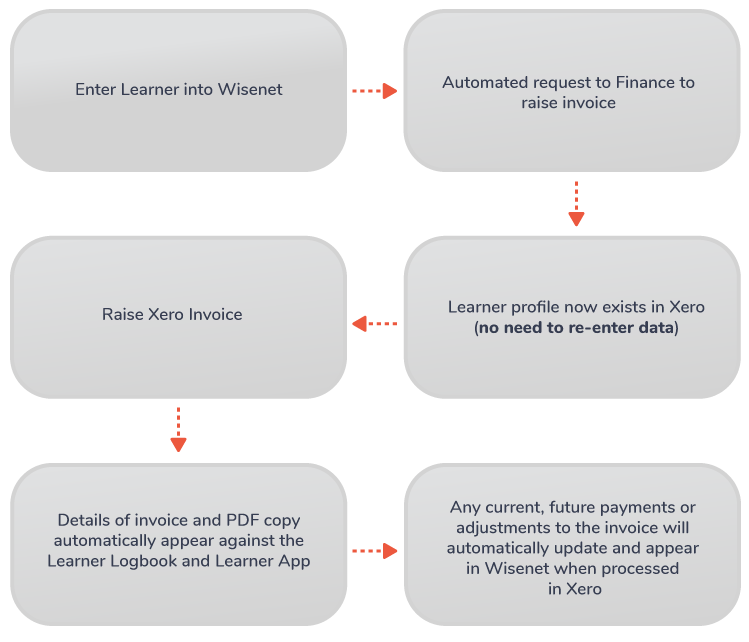 Once invoicing is completed in Xero, you can view the invoice details, including the invoice PDF in the Learner’s record by clicking on Invoices from the Left Navigation Bar in Wisenet. Need More Help? Ask Support. Please provide us as much information as possible to help us find a solution faster.